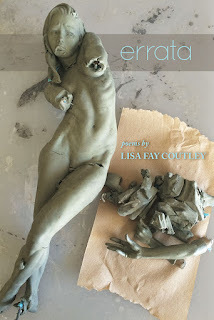 In her prize-winning full-length debut, Errata, Lisa Fay Coutley traces the life of a woman who embodies the roles of daughter, mother, and lover. She is lake and desert. She is the lapidary, the chisel, and the gemstone. She is both the trauma survivor and the language of the disaster. As Coutley writes in “Love & Squall,” “Mine are two / hands, reaching during a squall, brittle / enough to grasp at anything unseen.” Coutley’s poems are constantly grasping for air, water, and for the people who populate her lines. The question her poems pose is not whether any of these can be held, but how. a wiper blade, & I'll accelerate, eyes closed. we know, are built for falling. Here, once again, the narrative is allowed to fall to the background. The lover has disappeared, becoming an outline and leaving only the speaker’s divided self. The emotional punch of the poem is then controlled by the counterbalance of those soft sounds and the abruptness of the bodies falling. By heightening those repeated o-sounds, Coutley controls her reader’s ear, offering a blanket against the roughness of the b-sounds. As the images fall, her use of language safely catches the reader with those final words, “for falling,” which are full of breathless consonants. Coutley’s collection is a masterful exercise in controlling both technique and subject matter. Her speaker moves from lakes to desert, carrying with her the ghosts of her past. And as the poems’ fears–of violence and of losing dear ones–grow, the controlling voice becomes more confident in her ability to carry the weight she bears. “I'll never stop talking,” Coutley writes in “Listen.” This ability to talk, to interpret, allows the speaker’s life, and Coutley’s book, to become an errata—a collection of a correction of errors. 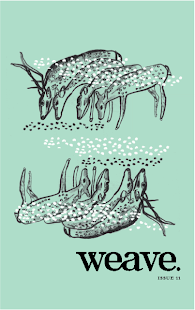 It allows Coutley to write a book obsessed with, among other things, psuedodysphagia—the fear of choking, of being without breath—all while crafting a series of poems that will leave her readers breathless.